Hot on the heels of the leaked media files, we now have yet another leak, also courtesy of P3Droid, this time of the 12 wallpapers found in Ice Cream Sandwich. As someone put it on reddit: "I feel like whoever is leaking these is like some kind of psychopath giving us parts of his victim, piece by piece." That sounds pretty accurate, doesn't it? Download the zip from our direct mirror - no ads or popups. 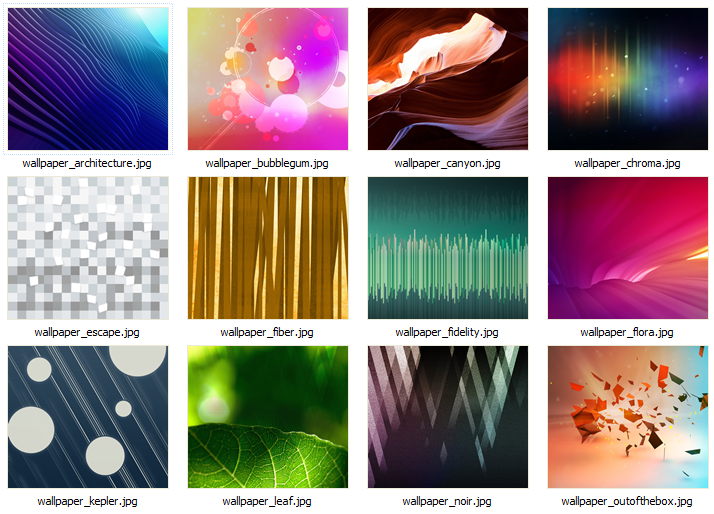 Unzip and copy the wallpapers you like to your device. Open the directory with the images using your favorite file manager, like Astro, long press the one you like, and select Set As Wallpaper.